In the late fourteenth century, poets were transitioning between two forms of verb production. 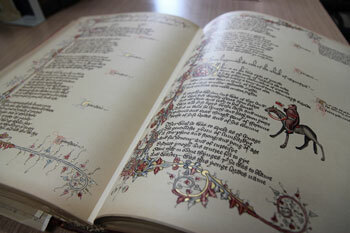 Geoffrey Chaucer, perhaps best recognized for The Canterbury Tales, was known for using both. 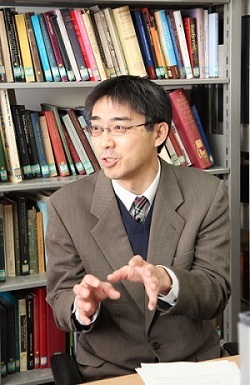 Hideshi Ohno researches how each verb was used, which enables a deeper understanding of the feelings of the characters and narrators in Chaucer’s works. A Stylistic Approach. University Education Press, 2015, 211p, 978-4864293372. This book is about the use of the impersonal and personal constructions in the verbs which describe mental activities in the works of Geoffrey Chaucer. In the impersonal construction, the person affected by the activities, which is called “Experiencer” (Ex), appears not in the nominative but in the objective case. In the late 14th century, the transition from the impersonal to the personal use was in progress, and in many instances the two uses can be found in a single verb. 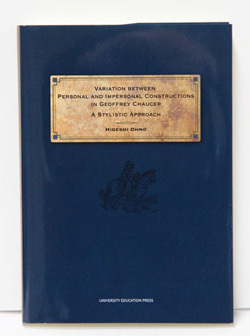 Mainly from the syntactic and stylistic viewpoints, this book explains the significance of this variation and considers what interpretations the variants make possible in his works. The verbs are categorised in five semantic groups: verbs of (1) pleasing and liking, (2) grieving and regretting, (3) obligation and necessity, (4) remembering and thinking, and (5) dreaming. 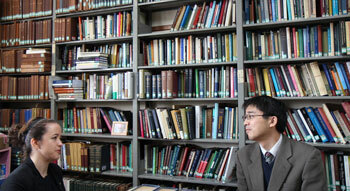 His contemporary poets John Gower and William Langland are referred to for comparison. From a diachronic viewpoint, we are apt to make a sweeping generalisation that the transition went quite uniformly. However, in Chaucer’s time the extent of the transition varies depending on the verb. For instance, the impersonal use remains stronger in the verbs of sorrow, pleasure, and dream, where the Ex’s function as a recipient is more emphasised. I have also observed that the impersonal use is frequently found with a 1st-person (especially singular) Ex in verbs such as like, think, dream, etc., while the use is frequent with a 3rd-person Ex in verbs of obligation. We are also inclined to decide prematurely that the two constructions were used interchangeably at a certain point in the middle of the transition. It may be true that the choice of either use is affected by the demands of rhyme, or the juxtaposition of a verb with another personal verb, which shows that the two uses share some overlap between them. However, even the contemporary poets used some verbs differently. My research from semantic and pragmatic viewpoints has shown the possibility that some verbs retain exclusive meanings and functions in that era, which give rise to unique interpretations for some contexts. Using a detailed and large data set, my investigations have illustrated that the two uses are closely connected with the degree of Ex’s involvement with the mental activities expressed by the verbs. This research has also highlighted the syntactic, semantic, and pragmatic environments favourable for each of the impersonal and personal uses. Thus, the research has enabled a deeper understanding of the context, focusing on the feelings of the characters and the narrators.